Over the last 9 years in New York as a Wine Buyer / Sommelier and Store Manager, I realized that there are hundreds of wine & spirits distributors in the market but only few of them offer a really good and consistent portfolio. And even fewer include great value for money, meaning wines that are great at $15 and under on the shelves. Amongst those that I work with, roughly 200, I mainly and regularly order my wines through about 50 of them, and amid these carefully selected vendors, only a few handful in my opinion can claim to offer a solid portfolio of authentic and expressive, Terroir oriented natural wines (Biodynamic, Organic, “biologique”, sustainable culture, “Lutte Raisonnée”, etc..) crafted by small, artisanal producers all around the world, which are not necessarily “branded” and overly commercial. Cognac One, and few more. These small companies, which mainly imports artisanally crafted wines, often organic or biodynamic or sustainable and coming in limited quantities, have all in common the fact of offering a consistent, carefully selected portfolio with great values. They lead the pack in the New York market as fine examples of consistency and set the industry standard with their high quality selected wine lists. In my honest opinion, I rather deal and establish a personal relationship with the distributors cited above than trying to give too much business to the bigger companies. Not that they don’t have good stuffs too, but in most case scenario, it is less intimate, genuine and friendly than with the smaller ones. The market is the same, it seems that people are turning their back to big and recognizable brands and items that have oscillating prices, and prefer the reliability of smaller producers that are less notorious but as good and often better for a lesser and more consistent price vintage after vintage. Let’s take a recent example, a customer call me to ask me to reorder some Louis Jadot Macon Villages that sells for about $10-$13. I told her that I have other producers that I prefer and that are in my opinion better, for the same price or less. But she insisted, therefore I decided to comply. Customers are always a priority to me and a “special order” end-up usually as a “in-and-out” operation, where I take less margin on the price, but get an immediate sale and therefore cash flow, so it is difficult to refuse and it is in my interest not to. Yet, after rechecking the price twice, I called her back and let her know that the cost price has increased by roughly $4 a bottle, which means that I will have to sell the same wine for about $14-$15, which I refused to do and immediately convinced her that it will be a mistake not to take my offer on a different producer. After a short reflection and a few questions about the reason why the price has increased, she finally agree to reconsider my offer, and finally thanks me a few days later for my choice, perseverance and to unable her to discover something different. This economy is quite controversial and not accepted by every producers, therefore some of them continue their opportunistic path to sell to healthier market that are ready to pay, thinking short term relationship and more money in the bank rather than long term relationship and consistent sales. Market like Bordeaux have been for the past 2-3 years enjoying themselves selling to China, yet milking the cow has slowed down lately, not surprising when a case of 1st growth sells between $12000-$15000. China can buy but they are not stupid and if they realize that they will not be able to speculate on higher price after a few years, they will not continue to buy and probably will end up trying to sell a good part of what they bought rather quickly, they mean business for now, not drinking for pleasure. What will happen when China will decide not to buy anymore? Which market the luxury end of wines will find to be sold to? New emerging country like India? Brazil may be? Korea? As a result of this situation, the Bordelais and other high-end wine producing regions are sensing the wind turning against them and are trying to be back in the US. I recently noticed a resurgence of Bordeaux Negociants coming back to sell in New York, fortunately for them it will work with wines under $20 on the shelves and certain wines in the tranch of $25-$60, anything above will be very difficult to sell at the moment as the economy is still down and people are still very cautious about their spending. First growth market will barely find any buyers. Moreover, the US market has been booing Bordeaux since the ridiculous increase of the prices for the 2003 vintage, which was, in my opinion, and after tasting more than 900 different wines “En Primeur” in April 2004, the least homogeneous vintage that I ever tasted in 13 years of Bordeaux buying (at that time). Since then prices have gone through the roof and the high-end Bordeaux are no longer in favor in the US. The United States may be a difficult market because Americans are picky and only want the best and the most accessible of what all markets in the world have to offer; yet they are more faithful and more consistent in their way of buying, which lately brought them to the position of number one wine consumers in the world, leaving behind France, Italy and Spain and other producing countries. Wine, in the US, has become a cultural thing as it used to be in Europe not long ago. Americans may boo the incoherent ways of pricing their wines from Bordeaux and Burgundy and a few other European appellations, yet they continue to find and import some of the best deals from the hexagon and the rest of Europe. Due to a decreasing consummation in Europe in general, some wineries have found their new El Dorado in the US, by selling more than 80% of their production to the export market. Therefore, to share my love for brighter and crispier wines and my interest in smaller importers and distributors, and also to continue my eternal quest to introduce you to fairly unknown, under the radar and rather undiscovered wines, grape varieties and regions, I would like to share with you two wines from a producer that I recently tasted and rediscovered, which produces wines that represent, in my opinion, the quintessential idea of the kind of wines that I love, imported by one of my favorite importers of late, Wine Emporium. Azienda Agricola Biologica Bio Vio is located in Bastia d'Albenga, a village part of the city of Albenga, in the Savona province, central-western part of Liguria, and about 72 kilometers west from Genoa, along the coast toward France. Liguria is a coastal region of the northwestern Italy, the third smallest of the 20 Italian regions. Its capital is Genoa. It is a popular region and destination for its beautiful beaches, picturesque little town and history, and good food and wine. Although the estate was making wine for centuries, Azienda Agricola Vio Bio was firmly established by its current owner Giobatta Vio and his family in 2000, when they started making their own wines. Within a few years they quickly gained popularity amongst the locals and visitors, but remained small and fairly unknown to the export markets. Yet, word-of-month quickly spread amongst amateurs and connoisseurs. The excellent results achieved prompted them to enlarge the cellar and provide it with modern equipment. 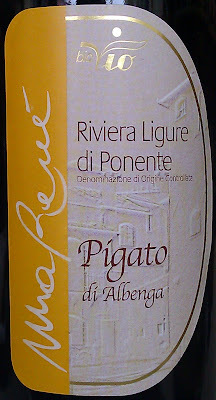 At the same time, one hectare of Pigato grape vine was planted in Ranzo, in the Arroscia Valley. The Vio family firmly believed in this vineyard and anticipated to get just as many gratifications from it. To this day, the winery - consistently with its philosophy – has always carefully selected the vineyards thought to be the best suited to obtain the most complexity and ripeness of the fruit to craft the best wine possible, with natural, traditional vinification methods. The winery is fully organic and produces wines without the use of pesticides, herbicides or fertilizers, as certified by ICEA in 1999. Pigato is a white Italian wine grape planted primarily in Liguria. As a varietal, Pigato produces highly aromatic wines. Made with 100% Pigato grapes vinified in stainless steel tanks, aged on its lees for 4 months than further refining for 2 months before bottling, this wine presents a clean, clear, pale yellow color with light golden reflects. The complex and attractive nose is fresh, fragrant, floral, mineral and zesty, with citrus peel, blossom, mint and freshly cut hay, nutty and herbal notes. It also boasts inciting notes of Mediterranean wild bush, beach "maquis", "pignon de pin" and "pin des Landes". The palate is soft, generous, well rounded, with golden apple flavors, ripe peach and spices. As it expands in the mid-palate, it offers a lot of glycerine and viscosity, oily texture coating the entire palate with generous and balanced ripe yellow fruit flavors and herbaceous, fresh almond notes. Ample and rich yet with enough acidity to keep it balanced and fresh, the finish is long, mineral and Terroir driven with slight briny hints. Lovely wine for amateurs and connoisseurs, and in general for people that really appreciate and understand wine. Definitely food oriented, pair it with well seasoned Mediterranean dishes: North African Tajin, Chicken or poultry baked with white wine, saffron and Provencal herbs. 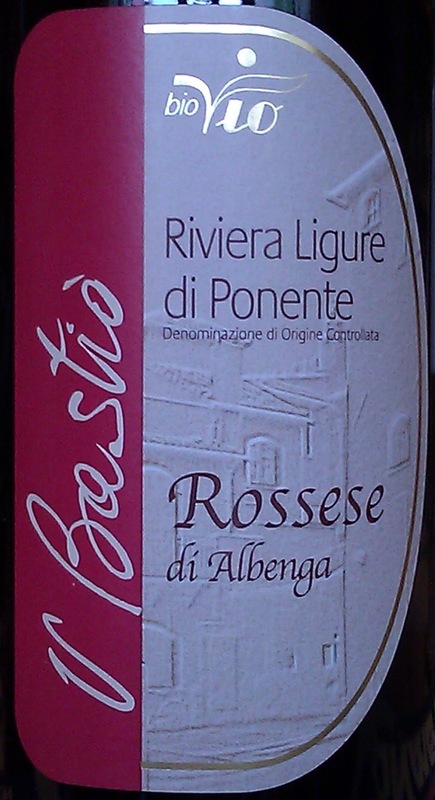 Rossese is a red Italian wine grape variety that is planted primarily in Liguria. 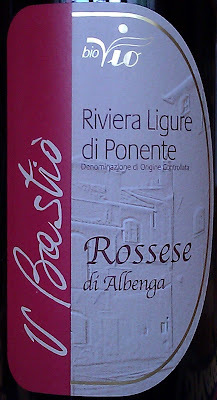 The wines produced from Rossese are a local specialty found around Dolceacqua. Made with 100% Rossese grapes vinified in stainless steel tanks, aged on its lees for 4 months than further refining for 2 months before bottling,The experience with this wine starts with its color, somewhat intriguing and fascinating, light and see through, yet intense bright red cherry with light orange notes on the rime and garnet, rose nuances. The fresh and fragrant nose offers aromas of dark ripe cherry, smoke and earth, The balanced and crispy palate is really complex and bright, with enhancing, cleansing acidity and distinctive wild cherry flavors (sour cherry). The long and juicy finish is floral and perfumed, with loads of Griottes characteristics. Love it. Perfect for the summer with grilled salmon, lightly pan seared tuna, beef carpaccio, cold cut and white meats. A good list of importers, although I'm not familiar with a few of them, as they probably aren't in our market. But how about the following: Bobby Kacher, C&P Wines (Chris Campbell's Spanish wines), John-David Headrick, and Maximillien Selections (Laurent Bonnois, distributed only in NYC and Maine).